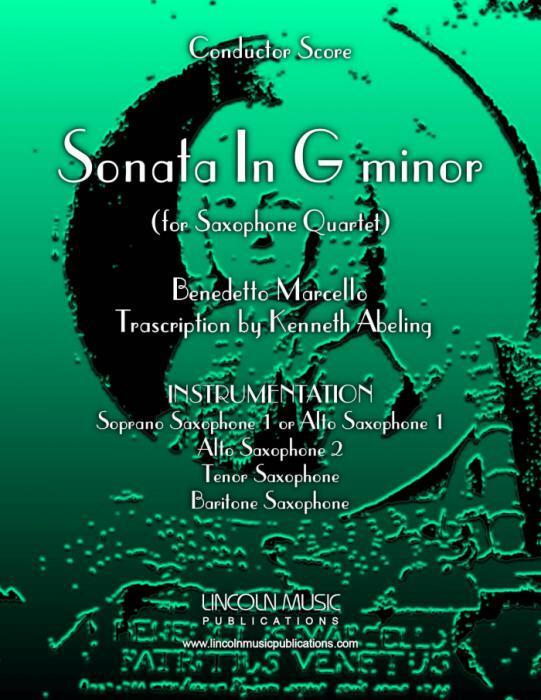 Sonata in G minor by Benedetto Marcello transcribed here for Saxophone Quartet by Kenneth Abeling. This is another beautiful Sonata by Marcello and is likewise programmable for a variety of sacred and secular occasions in movements, or in its entirety. It is accessible to moderately advanced level players and above. Playing Time: 6:25 without repeats and 8:35 with repeats.